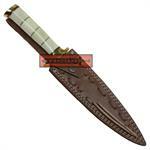 This knife is the ideal tool for a huge variety of uses, from hunting to decorative collection display. 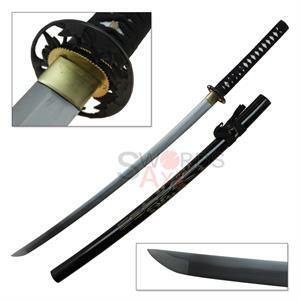 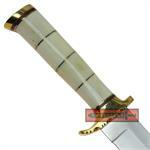 It features a gorgeous, elegant blade in a drop point profile, meticulously crafted from quality D2 steel. 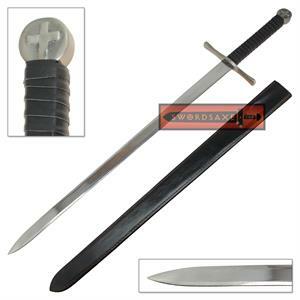 The hilt is handmade from natural bone and brass fittings, polished into a grip the is very ergonomic. 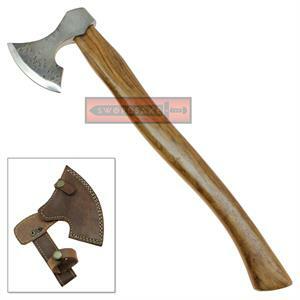 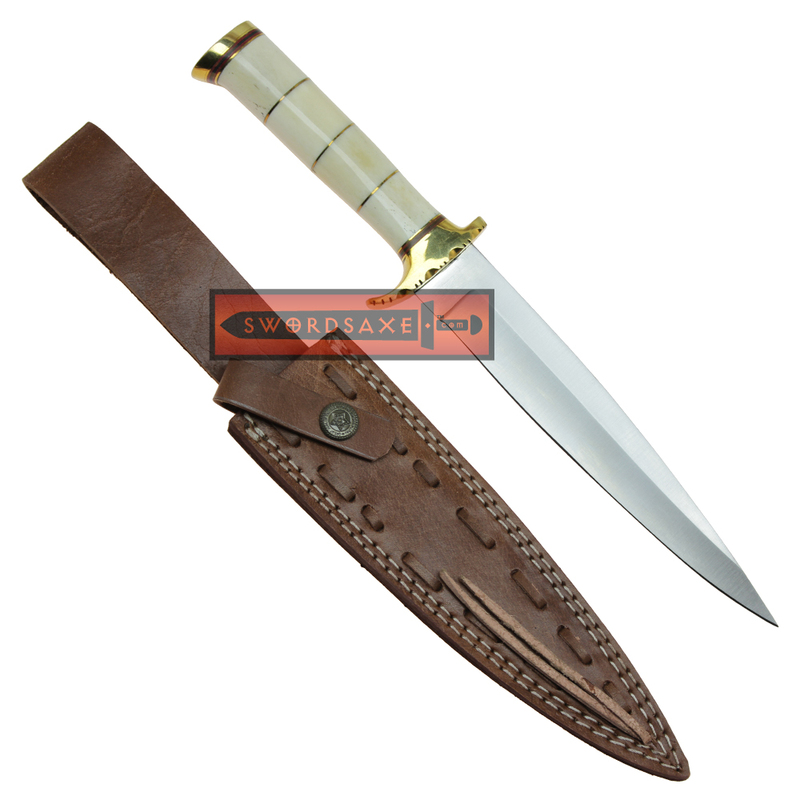 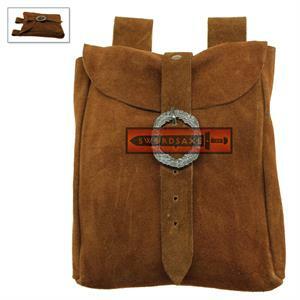 Included with this full tang knife is a genuine leather sheath that is custom fitted to suit.